Cancer touches all of us - half of all men and one third of all women in the U.S. will get cancer in their lifetime. These figures are shocking, but, we can change the stats, cure more cancers and improve treatments by raising money to fund amazing research at Fred Hutchinson Cancer Research Center. 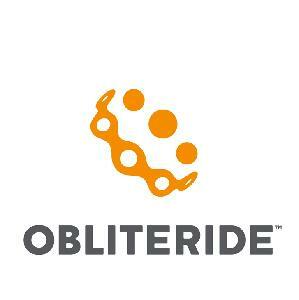 Obliteride is how we're doing it! Our team, Equipe Rouge (the Red Team), will come together this August to tell cancer we're not gonna take it anymore. And here's where we need your help. We've made big fundraising commitments and are making a statement against cancer. And we hope you'll make a statement, too. With 100% of every dollar donated going directly to cancer research, we can make a direct impact on saving lives faster. Please donate generously. Let's put up a fight together! Patients of the Hutch are assigned a team color while in treatment. Our founding team captain, Jeff Berkman, riding as a survivor, was assigned to the Red Team during his first round of treatment. Sadly, we lost Jeff in 2014 but we keep riding together to honor his memory. To all our family and friends who have suffered and survived and those who we have lost - we are riding to improve the lives of those to come. Thank you for your spport!